Interested in RENTING our EQUIPMENT? Jones Group Ltd.’s well rounded fleet of excavators and other industrial machinery are well equipped and maintained to offer you excellent service. Jones Group Ltd. has a large fleet of excavators and equipment to perform any size project as well as their own trucks to make them mobile 24 hours a day! Contact us today if you are interested in renting our excavators and heavy construction equipment. 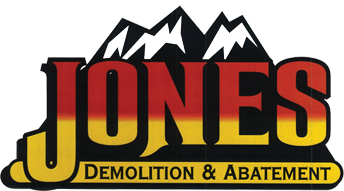 Jones Group Ltd.’s mission is to become the most trusted, adaptable and cost-efficient demolitions and abatement team in the industry. Jones Group Ltd. works within strict government guidelines with trained MTCU certified staff to accomplish each project whether the job includes demolition, hazardous material abatement, inventory recovery or salvage.